My last post about lettering was very popular, so I thought I would continue and write about one of my other favourite ways to illustrate lettering. I am excited that people other than me are actually interested! 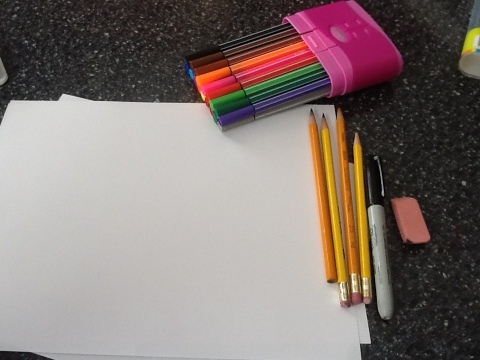 The only materials you need are a pencil, eraser and paper, but I thought I would add colour to this post, so I will add markers to the list. 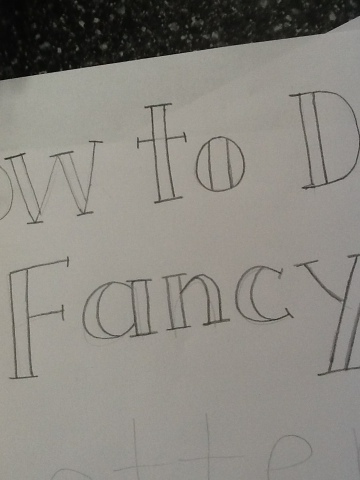 To draw this style of fancy lettering, you need to first VERY lightly write your words. 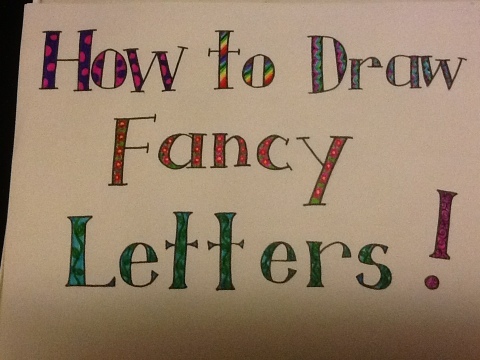 Be sure you have enough room for all of your letters, leave room between them, and try to make the letters the same size too! You will be erasing all of the pencil lines so draw lightly. 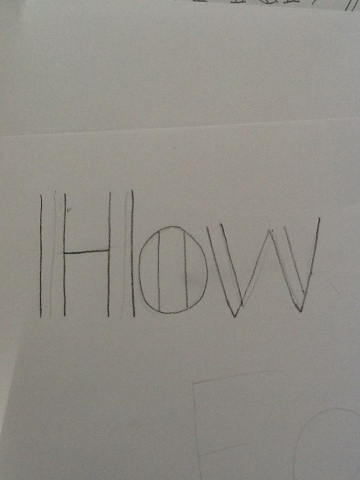 Then, to make this kind of lettering, make all of the vertical lines thicker by adding another line. This is why it is important to leave space between each letter. 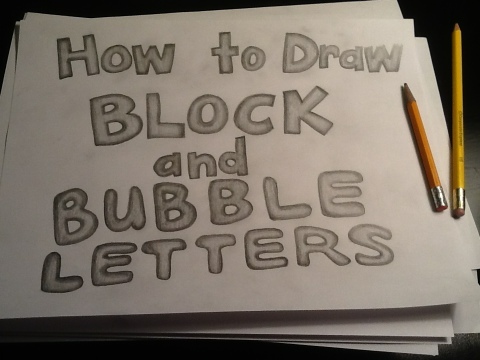 There are many different ways you can do this, especially when it comes to rounded letters. You can draw straight lines, like I did in the words, How to Draw Or, you can curve the vertical lines, like I did in the words, Fancy Lettering. 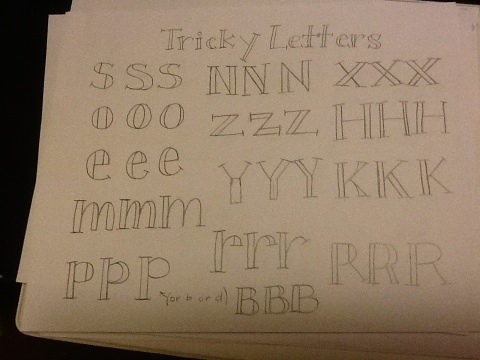 Here are some of the more difficult letters to draw, but really, there is no right or wrong way! Just try to be consistent. 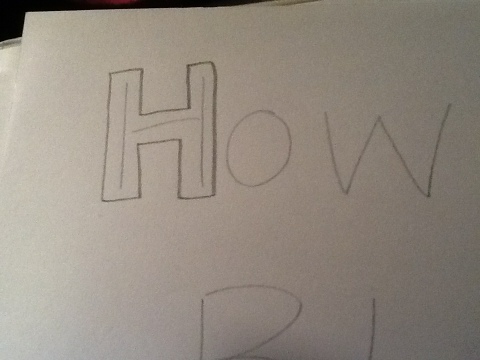 If you do a B a certain way, the next time you draw a B, do it the same way. 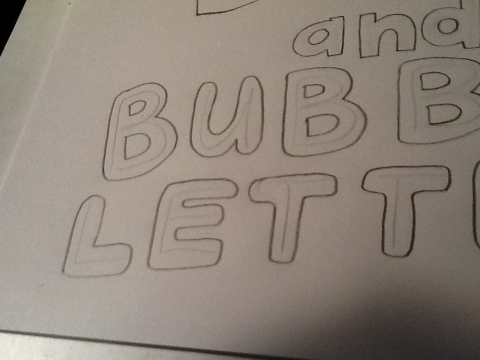 I decided that these letters needed some more colour, so I outlined the letters in black, and erased my pencil lines. 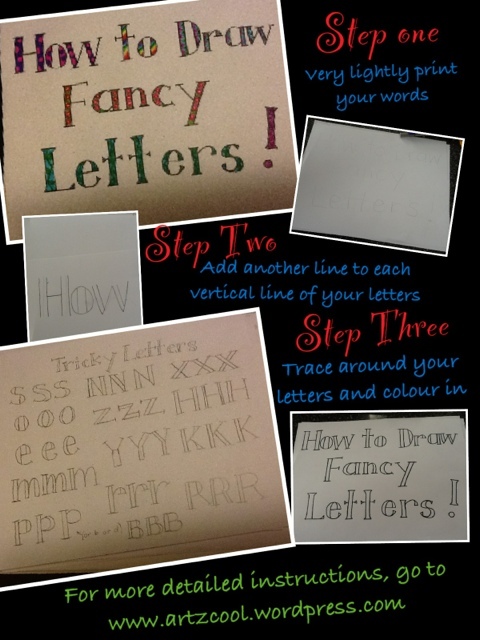 Then, I coloured in the letters with patterns and designs. 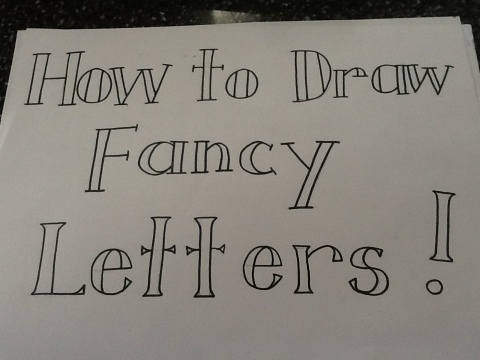 I love drawing letters, and I love picking and downloading fonts too. Actually along with publishing a book, designing a font is on my bucket list! 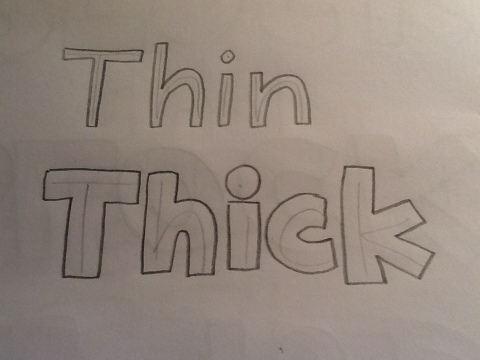 As a teacher, I have spent many hours drawing, and choosing lettering styles and designs for worksheets, borders, posters for the classroom, and so on. 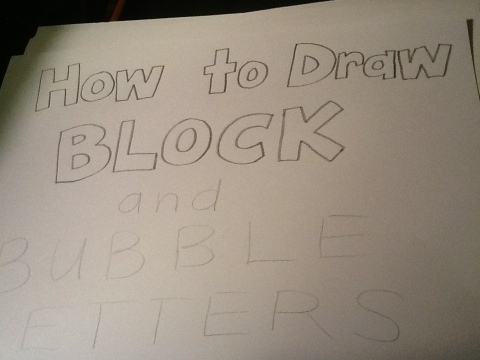 Here is a quick and easy way that i use to draw block and bubble letters. 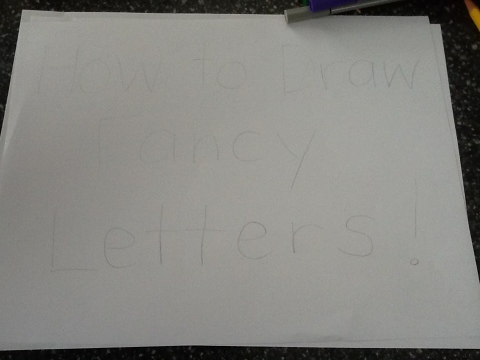 The most important part is drawing your letters LIGHTLY. You should just be able to see the letters, no darker. 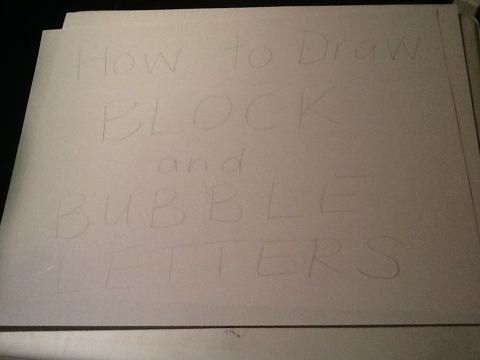 You also want to get your spacing right, making sure all of your letters fit, and are the same size, and centered. 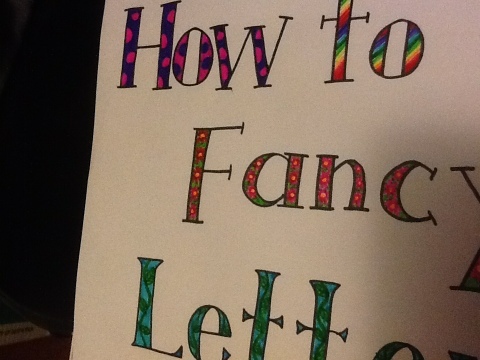 So, clearly and neatly print your letters leaving space in between each letter. If you need to erase, now is the time! Make sure you leave the same amount of space around each letter. Repeat this for all of the letters. 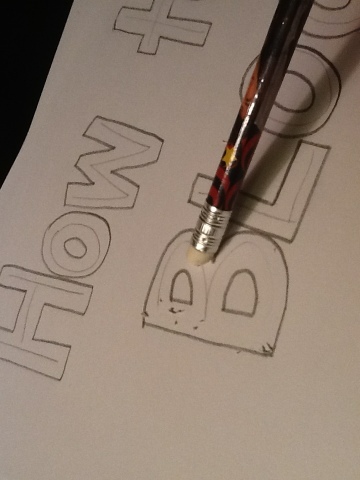 For closed letters like o, b, d, etc, make sure you trace around the inside of the letter too. Because you have used such a light pencil line in step one, it should erase easily, and no one will even know it was there! 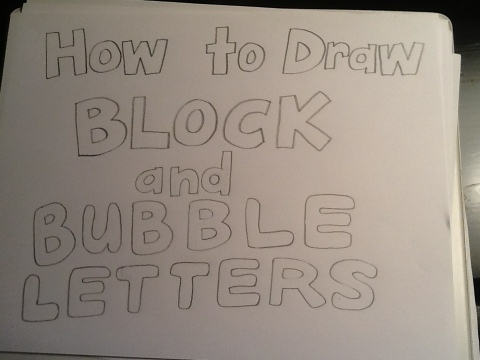 To draw bubble letters, you repeat step one to three, the only difference is that you round the corners. Now, you are ready to colour or add some details! Have fun! I took a few minutes to shade the letters, but you can obviously colour them, or even add details inside the letters too! Enjoy. 729,834 Views! Tell your friends!